KPIs’ (Key Performance Indicators) are set up for absolutely anything these days from measuring SEO performance to customer satisfaction and it’s easy to get submerged in a sea of indicators. Everyone talks about them and mentions them in such jargon that it is vital to keep a clear head of what you actually need to monitor your business performance. 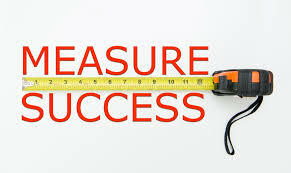 There are 3 critical KPIs’ I would recommend every business owner and FD use to monitor their business. This is probably one of the most useful and important indicators to use and the percentage is obtained by dividing the EBITDA by the sales for the period. This should be tracked over time both monthly and annually. EBITDA strips out the issue of how the business is financed i.e. the interest costs of debt, the differing rates of depreciation used for assets and also taxation. It shows the cash earnings of the business and once you start to use this regularly in your management accounts, it will be easier to compare your performance against that of your competition and if you’re doing better, it will be easier to have discussions with banks and investors’ to raise funds for future growth. As the business grows into new areas of revenue, it is worth tracking these new areas EBITDA margins and comparing these to the overall business EBITDA margin to ensure that any new areas of growth are not reducing your margins. This will show how much liquidity the business has and how well it can manage to pay its creditors. Of course the desired position is for current assets to exceed current liabilities and the ideal ratio is at least 2, i.e. current liabilities are covered twice by current assets. Use this ratio monthly and annually to trend how well your working capital is being managed. The final KPI is not a ratio but an absolute sum and is simply the cash available for the business after the required capital expenditure. This is the cash available for discretionary spending on future growth or dividends to shareholders and is a sign that the business is healthy. The easiest way to calculate this is to take the operating cashflow and deduct planned capital expenditure on assets that are required to maintain the profitability of the business. The more accurate definition of this to take the EBITDA minus change in working capital (taken over the period concerned) and minus capital expenditure. Having a high free cash flow sum is excellent but a business could have negative free cash flows when it’s making large investments into future growth. At some point, such investments would be expected to result in positive free cashflows. Finally, it is important to remember that monitoring these KPIs’ are not an end in itself since you still have to manage your business and maintain cash flow forecasts, maintain profitability and also invest into the future. Measuring your profit and loss and balance sheet is not enough. However, using these critical KPIs’ over time will give you a better understanding of how the business is progressing through times of recession, growth and also in times of success.